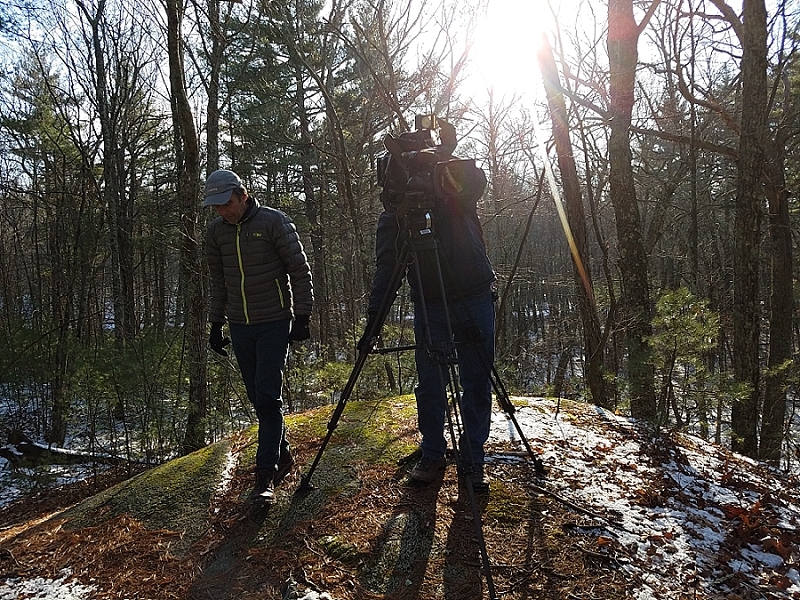 January 18, 2017 — It was the first time I’d ever been TV-filmed on an oddity hunt. It was also one of the rare occasions where I was hunting an oddity so obscure, there was no information about it available online. Seems like a lot of fuss for a simple piece of stone in a small New England forest. 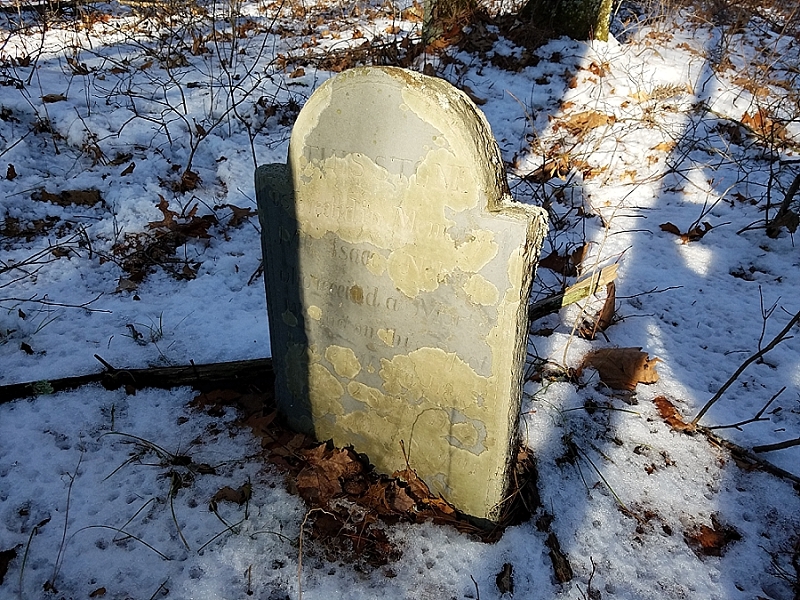 We were after the Isaac Nelson Death Marker, a gravestone-like memorial planted on the spot where a 19th century gent was killed by a tree in Upton, Massachusetts. As I said, information on this marker wasn’t anywhere on the web. 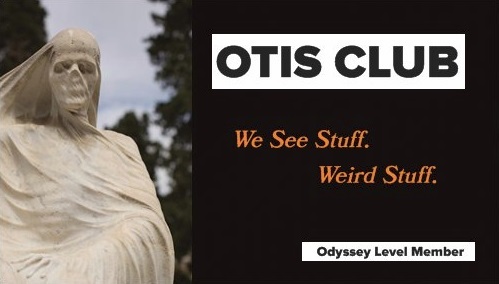 The only reason I knew about it was because a local OTIS reader named David generously dropped it on me back in the summer of 2015. 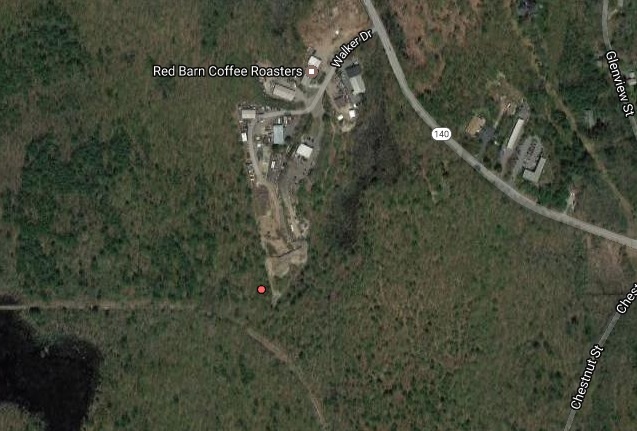 I dutifully logged it into my personal map of oddities for the next time I found myself near the site. But I never found myself near the site. In December of 2016, I received an email from a producer at Chronicle, a news magazine show here in New England that’s been on since the early 1980s and is almost an institution. And I only say almost because I don’t know what institution means. The producer told me that they were doing a show on weird things you could find in the forests of New England. He’d stumbled across OTIS and The New England Grimpendium and wanted to know if I could suggest any. I sent him a long list. He zeroed in on the Isaac Nelson marker. Probably because I caveated that I couldn’t personally confirm the site. He thought it would be fun to film me, well, personally confirming the site. I said sure. I’ll never say otherwise for an oddity. So we found ourselves in a snowy forest behind an industrial development of sorts off Walker Drive where I stared into my 21st century metal-and-rare-earth-elements phone to find something stony from the 19th century. 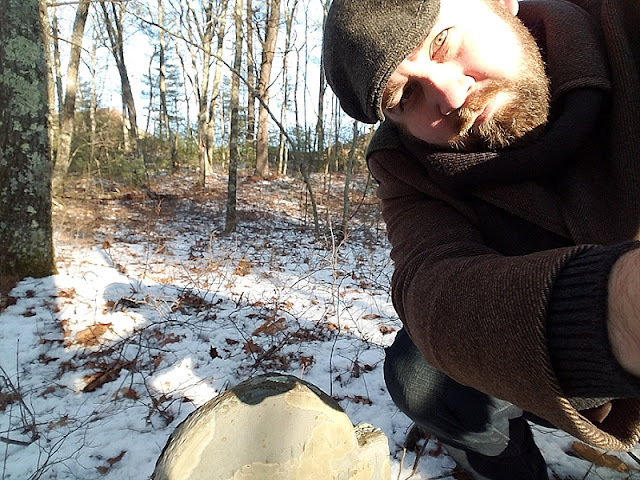 on the 28th of Dec.
And what’s on that stone is pretty much the whole story of that stone, from what I’ve been able to gather to this point. 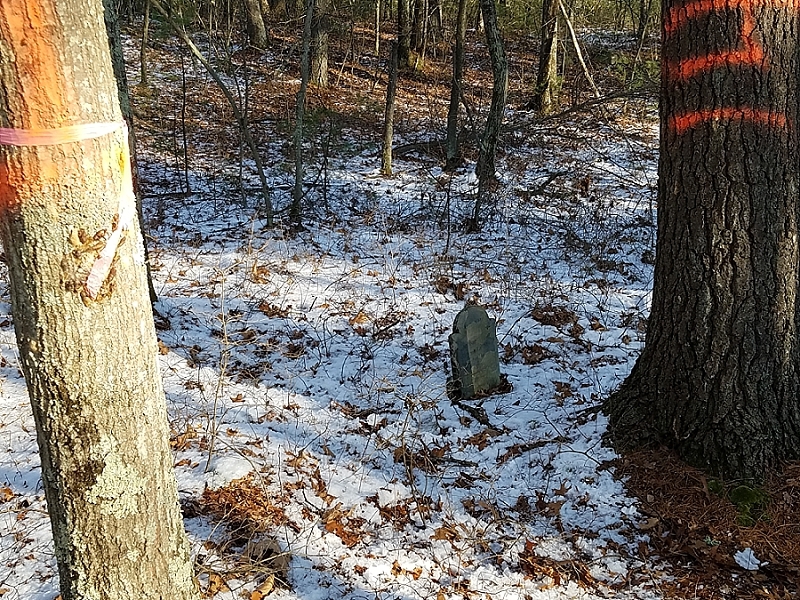 An ace-researcher friend of mine told me that Isaac Nelson was the son of one of the early settlers of the area, but couldn’t find why they marked the site of his death. I mean, I’ve seen death sites marked in the past. Usually because the death itself or the events around the death really stirred up the community. Usually a murder was involved. But a simple arboreal accident a few days after Christmas for a dude in his late 50s (close to an immortal age back then) seems weird to memorialize. It also seems weird that the stone has survived so long without vandals or weather doing their things. And don’t think I don’t realize that my actions on the show and with this post might finally bring its downfall. But I have way more worse things in my life to account for. Get in line, buddy. 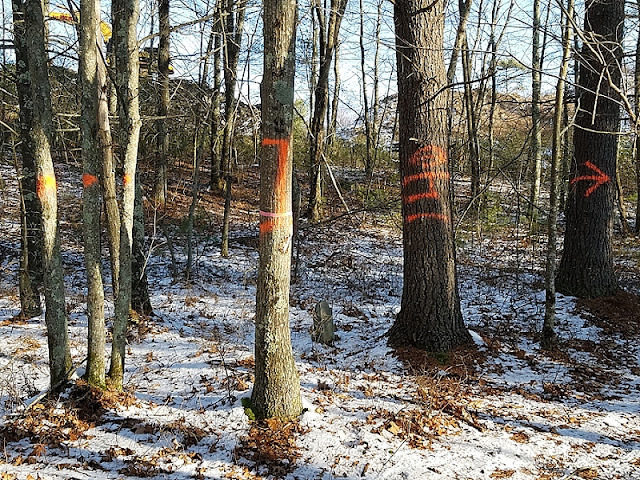 You have to go a bit beyond the GPS points, and stick closer to the development side of the forest than the railroad tracks side of the forest. But you should be able to find it easily with this much direction. So thanks David. And thanks Chronicle. And thanks most of all to Isaac Nelson, whose “Mortal Wound” got me my first slot on television. Speaking of Isaac Nelson, remember Nelson?